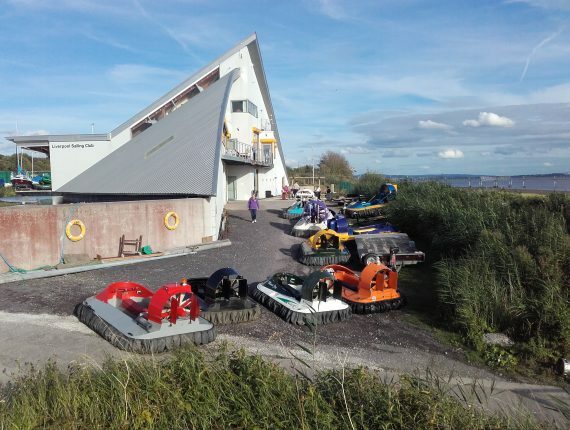 It’s using hovercraft to explore rivers, lakes, beaches, mudflats and coastlines. It can be as relaxing or challenging as you like, depending on the environment, or conditions you go out in. 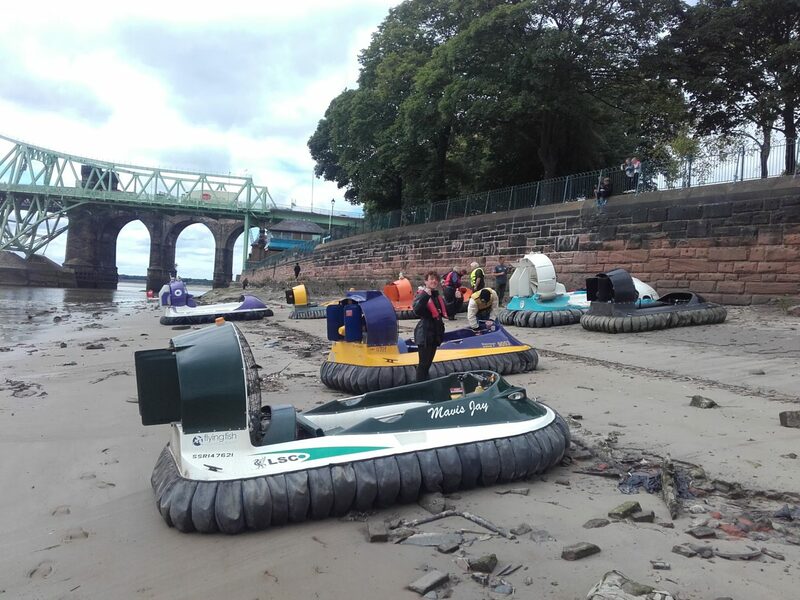 Members of the Hovercraft of Great Britain organise and participate in various group cruising events around the country these can range in length from a day to over a week and in numbers from 2 craft to 50. The longest running cruising event is the ‘Rhone Raid’ across France from the Med to Switzerland which has run every summer for over 20 years. What is a cruising hovercraft? 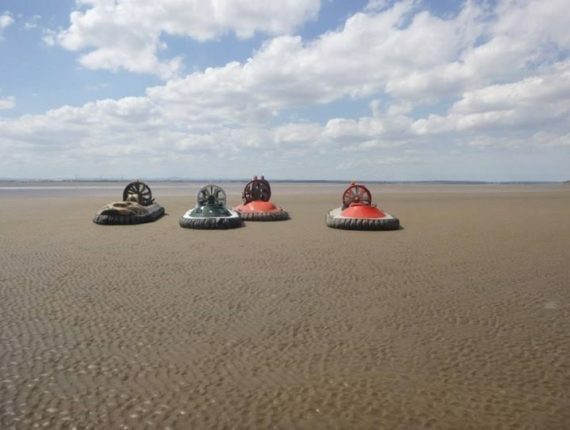 Hovercraft are essentially zero-draft boats – they don’t actually need any water at all. They can travel on land and waters into areas that boats cannot reach providing a totally unique experience for the passengers. Unlike other watercraft, when on water it “hovers” over the water surface on a cushion of air rather than being in the water. This lack of drag reduces the power needed to drive the vehicle making them efficient on petrol. Hovercraft can also launch easily from beaches and with no propeller in the water and as they produce no wake they pose significantly less threat to marine wildlife than boats. It is unlike any other craft and its capabilities, limitations and low environmental impact are little understood. Racing hovercraft are a different design to cruising hovercraft in terms of noise, speed and marinesafety – they are unsuitable for cruising use. Cruising craft are based on sound marine engineering and provide economic, quiet and comfortable leisure use. Cruising hovercraft can be used any place that a boat can be used. They have the same navigation rights (and responsibilities!) as other watercraft. Tidal water is normally freely navigable, you can also use rivers (only on the tidal sections without consent) or inland waterways such as lakes (consent will probably be required). There are bylaws in certain areas that specifically ban hovercraft so check that before you take them out. There are many hovercruising meetings held throughout the UK during the year where everyone is welcome (check the calendar for details). 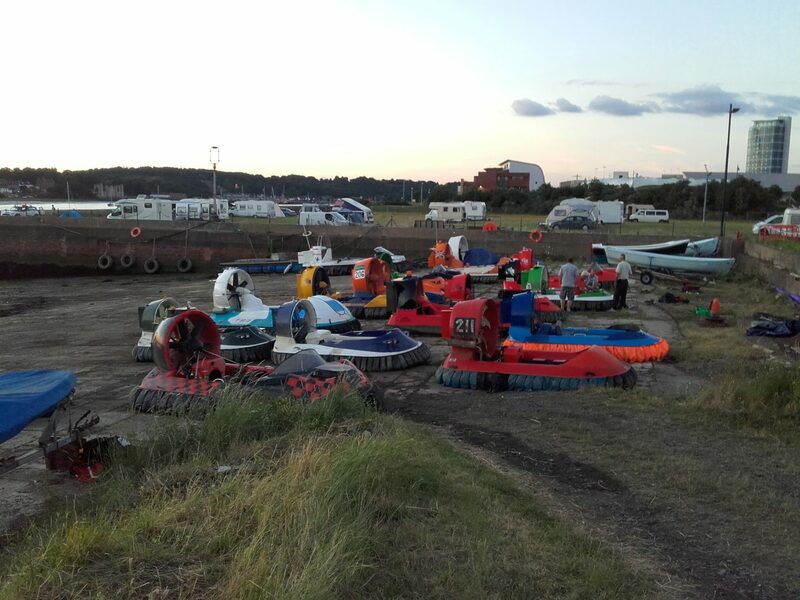 What does The Hovercraft Club of Great Britain offer for Cruisers? The HCGB has a Code of Conduct for Cruising to help hovercraft pilots operate safely and considerately. There are various cruising meetings held throughout the UK during the year where everyone is welcome (check the for details). It’s a great way of meeting other hovercraft cruisers, who will have loads of tips on great places to cruise and how to get the best out of your craft. Our member’s facebook page is an easy place to connect with other cruisers who can give advice on what craft would suit your specific requirements. If you are a club member then you will find the How to find a Cruising Site guide will help you find suitable launch spots. 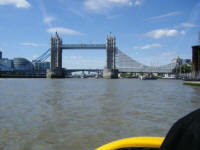 In addition, we provide a UK with suggested destinations and any local navigation and safety information. Many other documents are also available to members to help with water access (Environmental Impact Report, How to Organise a Cruising event, etc.). The HCGB provide active support to members who have access problems in their area. 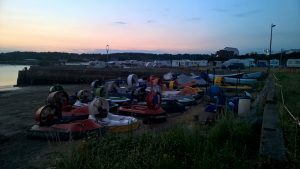 The Hovercraft Club of Great Britain can also provide up to date information on the various different companies that can provide insurance for cruising hovercraft. Will it float if the engine stops? There is little difference in sea handling capability between a hovercraft and a boat of similar size. In good conditions, a boat might be able to carry a heavier load but, as good conditions are unusual in UK waters this isn’t much of an advantage! 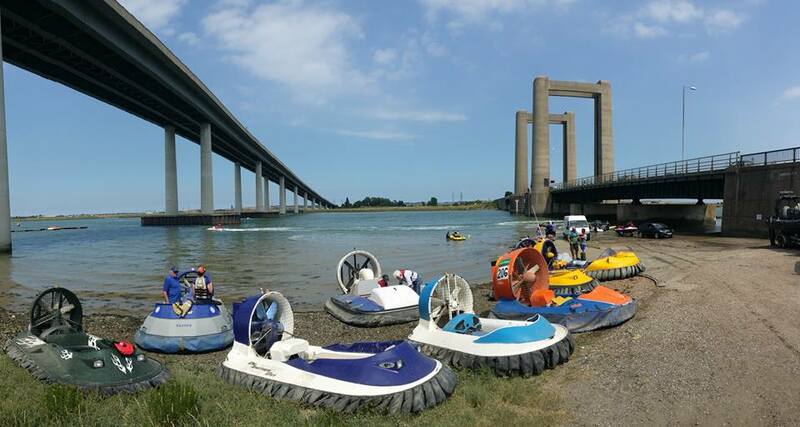 The most common question people ask about hovercraft is “will it float if the engine stops?” – the answer is YES, cruising hovercraft have full positive buoyancy and can be safely stopped on water indefinitely (fishing and just floating around are popular activities). Where can I get a cruising hovercraft? 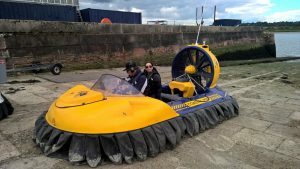 You can buy a new cruising hovercraft from several UK Manufacturers – take a look at the Hovercraft Suppliers Page. Seemingly bargain craft sometimes appear on eBay but they are best avoided unless the seller can demonstrate that it IS actually a cruising hovercraft and not just a toy! Take a look at the HCGB Buyers Guide – it contains very useful information on second hand hovercraft and some of the pitfalls to avoid when buying. An alternative is to build your own hovercraft – it’s not quite as daunting as it might sound! With good plans, components or kit it is fairly straightforward. Unless you have extensive knowledge of hovercraft we strongly recommend that you don’t try to design your own! They are more complicated than they might look! How do I learn to drive a hovercraft? It actually isn’t too difficult to master the basics once you get over the initial “floating around out of control” stage! Check out the which will quickly get you past the first stage and also provide you with very important safety knowledge. The also run many suitable safety courses – the most appropriate for hovercraft use are “Basic Navigation and Safety” and the “Marine Radio – (Short Range Certificate)” courses. Take advantage of member benefits and click on the button below to join the club!.